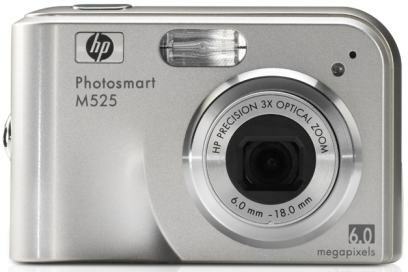 HP launched today at CES in Las Vegas the Photosmart M525. This is a 6 megapixel digital camera. It features 3x optical zoom, 7x digital zoom. The M525 has a 1.7-inch LCD display and 16MB internal memory.